Yevheniy Bodarenko has joined the handpicked team of Media Group Ukraine. 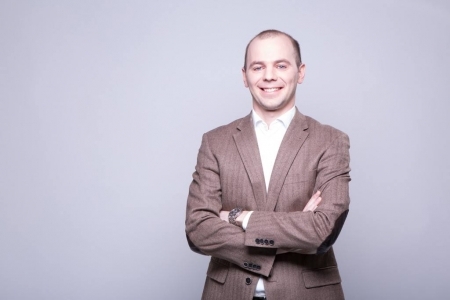 In his new capacity Yevheniy will be in charge of the Media Group Ukraine' HR strategy and specifically in its development and implementation. Having been in human resources management for 15 years all in all he stood at the origins of the DTEK Academy, a corporate university, most well known in Ukraine. It is with Bondarenko at its head that the DTEK Academy has risen through the ranks from a regional training centre to the nationwide education platform while Yevheniy personally has had two books to his credit and namely: At the start. A Book for Those Destined to Build Successful Careers and HR without a Budget. Over Deliver for Less. «In the last few years we have built up the HR system which renders support to business in meeting the desired goals and makes employees proud of being part of the successful media holding team. We have implemented a number of projects aimed at personnel management, motivation and further development. As for example Media Workshop, a means to share skills and knowledge within the company and also to raise a new generation of professionals in journalism for the country at large. It is due to total professionalism of our HR-staff that we have formed – in the course of the past four years – an unique corporate culture which in its turn enables us to engage and retain true and committed professionals. Media business is in for sweeping changes and our team used to be at the vanguard of them. Yevheniy would be able to proceed with the activities and bring about fresh innovative approaches to management as such». «I am keen on growing professionally and moving forward, while highly appreciating the tasks and challenges calling for non-standard approaches which I deem my personal major. Thus the Media Group Ukraine offer was quite up to the point. Transformations and new challenges are on everyone’s lips and media business is no exception in the case. Besides, I do believe that a strong business team of likeminded people, a proper corporate culture and innovations in business would enable the company to achieve most surprising results. That’s what I am going to deal with in the Group».